Juicing is a fast and tasty way to more easily incorporate vital nutrients into your diet. The benefits range anywhere from a boost in sustainable energy all the way to assisting the body in its natural healing. Juices enter the bloodstream immediately, so it takes less time and effort to distribute the natural vitamins and nutrients. Cold-pressed juicers use a hydraulic press that extracts every bit of goodness from fresh fruits and vegetables. Since there’s no heat involved, cold-pressed juice retains more vitamins, nutrients, and flavor than traditional centrifugal juice extractors. 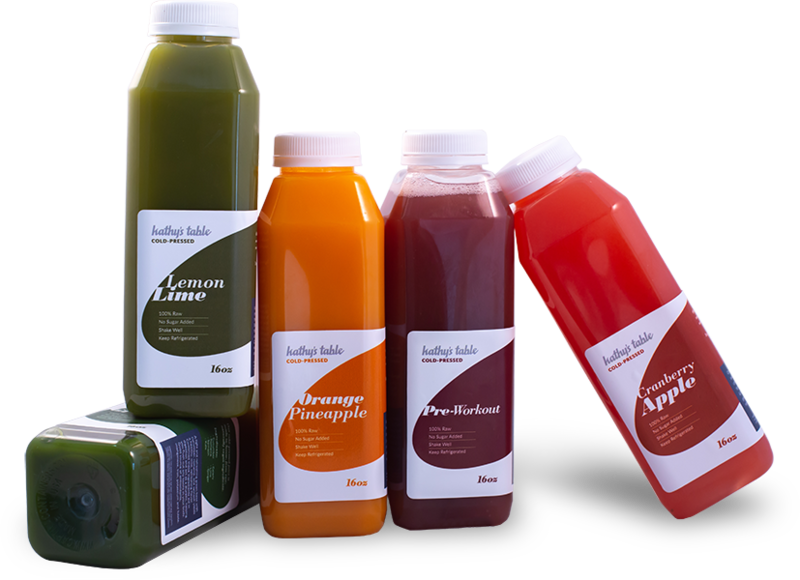 All of our cold-pressed juices are made in-house and can be picked up individually or as part of a juice cleanse. All our juices are made from nothing but fresh fruits and vegetables with no added preservatives or sweeteners. 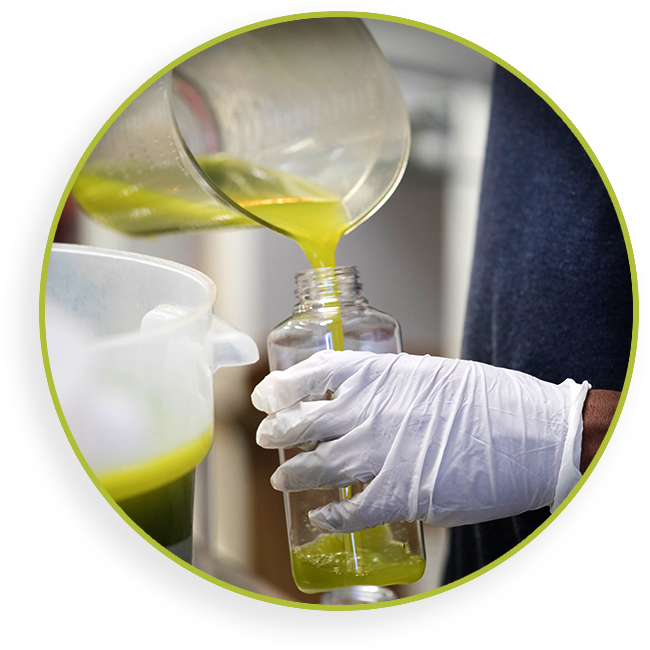 We have a dedicated nutritionist on staff that personally supervises the cold-pressed juices we make in-house. At Kathy’s Table, we only make pure, natural juice! Since your body easily absorbs the available nutrients, juice cleansing is a great way to get your daily dose of fruits and vegetables and cut down on food waste.